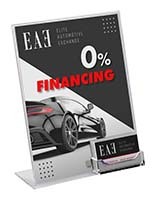 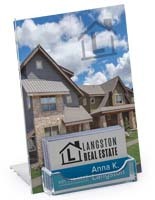 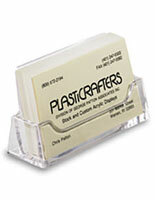 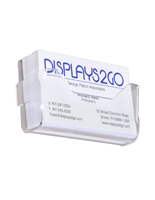 This 4” x 6” sign display with calling card tray is a great marketing tool designed for countertop use. 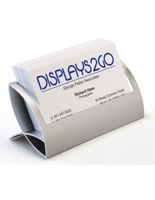 Simply slide desired signage into the clear frame area and place gift certificates or contact information in the holder below. 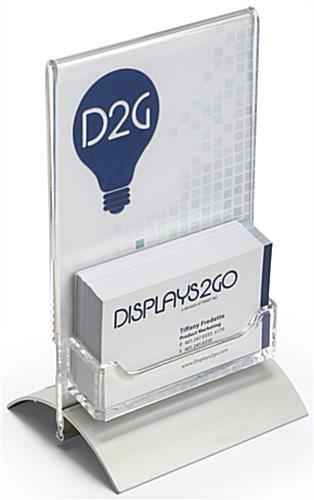 The business sign display would work well for any school, hospital, bank, office, or retail store. 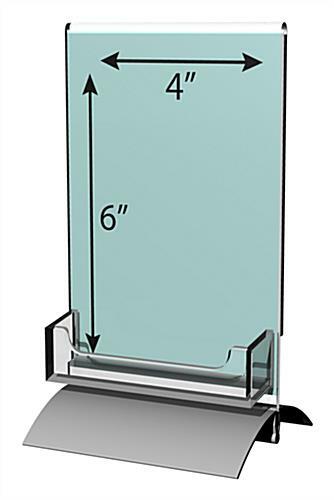 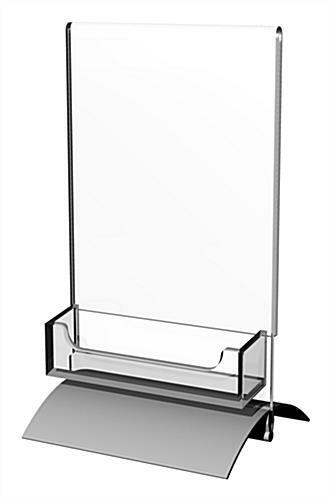 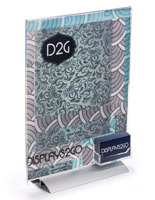 Designed to lend an upscale appearance to the holder, a silver base easily snaps onto the acrylic frame. 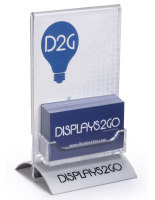 The sign display disassembles for convenient travel and storage. 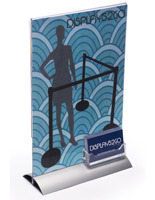 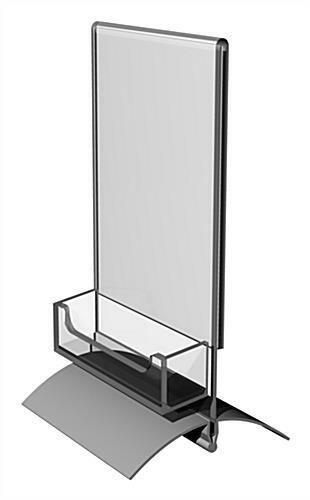 Encourage impulse gift certificate purchases at the register with this multifaceted stand! 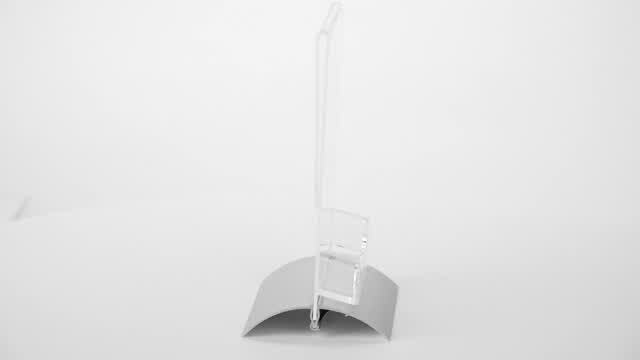 6.5" x 7.0" x 4.8"